Find My Workspace lists over 95% of the business centres market in Ilford. Simply click Request Quote to check pricing for one office, or Add to Basket for multiple offices. This space offers a wide range of high quality conference rooms with state of the art facilities available at competitive prices. Add prestige and style by utilizing the meeting room, training rooms, banqueting halls, dance studio, roof terrace, photo studio and auditorium. This state of the art building has everything needed for large or small conferences, meetings, training sessions, events or presentations. The facility is fully scalable. If you are looking for co-working space or hot desking you won’t be disappointed. Business class wifi is also available, as well as an on-site cafe to keep you fuelled throughout the day. With plenty of parking available on site as well, this is the perfect space to watch your business grow and flourish. A series of high quality offices ranging from 1 desk to 7 – 10 desk offices on the third floor of a premium commercial building. The building has an elevator, a high standing entry reception and good quality features. Ideal set of offices from start ups to established firms. Other occupants include accountancy firms, freelancers, IT consultancy firm. The property is fairly new and offices benefit from excellent natural lighting due to the many windows throughout the building. 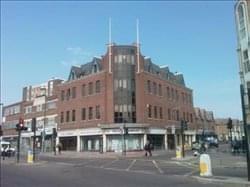 Based in Ilford, this centre is a ground floor office composed of five offices. The professional space is impressively designed with glass walled offices and high-quality furniture and fittings. The centre is open plan in layout, providing a dynamic layout – however potential tenants will have the control over their layout, to create a space that suits their business. 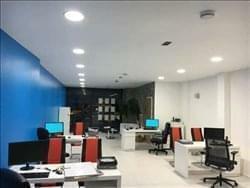 The space is also accessible to tenants 24 hours a day, allowing for you to set your own working schedule and ditch the traditional 9 till 5 if desired. Other amenities include air conditioning, CCTV, kitchen facilities and WiFi. A newly designed centre that offers the chance for developing businesses to truly establish themselves in a London environment. Situated in a high street the location has the benefit of being close to numerous people and the advantage of passers by so advertising any business services is possible. The centre is accessible 24 hours a day so very suitable for those who work long hours or have to communicate with international time zones. A well sized kitchen reduces the time spent queuing at lunch and the centre is regularly cleaned. High speed WIFI is available and helps your business maintain good speeds and connectivity rates. Bills are inclusive of the monthly price which is one of the most affordable in the area. 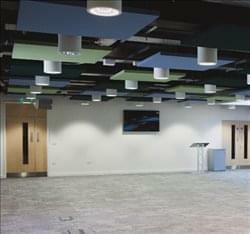 This space provides 7 various sized serviced offices. 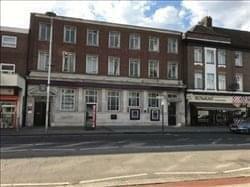 The centre is located in the of Barkingside on the high street. Entry to the offices can be gained 24/7 to suit any kind of working style. 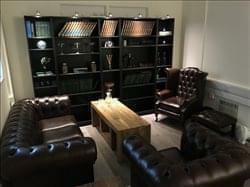 Each office is furnished to modern standards and let in a great amount of natural light. Other amenities include; modern technology, CCTV, lease line internet and kitchen. Parking is available near the space and being based on a high street you have all the amenities you could possibly needs. To obtain information for your selected Ilford Business Centres, please tick the "Add to basket" box for each office you prefer and complete the form below. We will then send a detailed report via email.